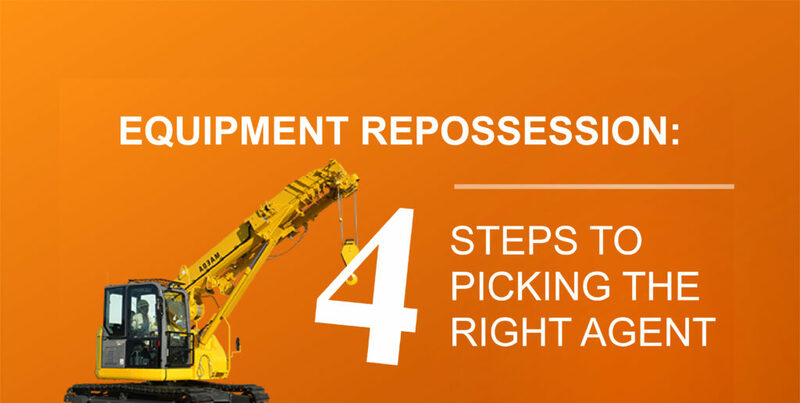 When it comes to heavy equipment repossession, proper insurance coverage is critical. Check out the below table of suggested coverages and amounts. From our experience in the industry, the coverages and amounts are more than sufficient in the case that a repossession goes wrong. Also, as a heavy equipment lender, you should always be listed as an additional insured. owned, hired or non-owned vehicles. recovered pursuant to a repossession order. control. Policy must stipulate direct and primary coverage. liability for damage to vehicles while being towed by your agency. liability coverage for property or money in your care & custody. liability for property damage & bodily injury from your operations. Must stipulate that coverage applies to wrongful repossession. We can all agree that recovering heavy equipment collateral is no small task but with the right partner by your side, it’s manageable. If you decide to use a direct agent strategy, the above information will help you make the right decisions in the process. Another option for equipment portfolio managers is utilizing a national repossession management company who handles the entire repossession process for you. For more information on our nationwide heavy equipment repossession services, contact Doug Melson at doug.melson@alsresolvion.com.